IVPN recently added the WireGuard protocol to its application, and Mac users can try it out right now. Hang around in the world of VPNs long enough, and you’ll inevitably hear about Wireguard, a new VPN protocol that’s supposed to deliver fast transfer speeds and be easy to implement. To try it out, however, you need to be running a Unix-y system such as macOS or Linux, find a VPN service supplying WireGuard, and then get it up and running via the command line. 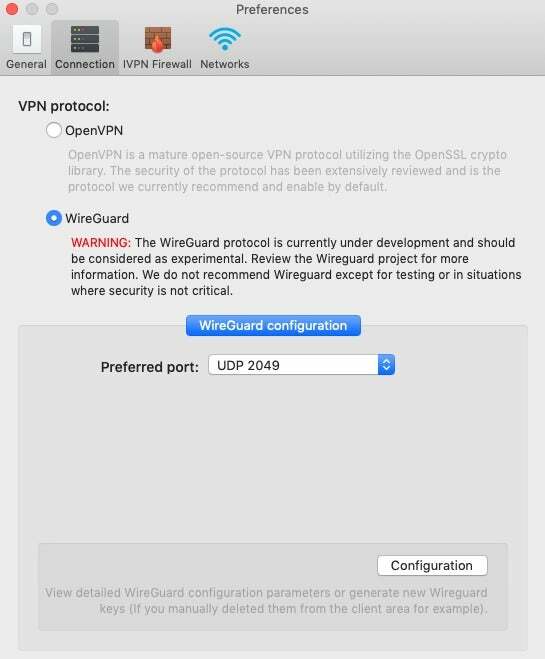 That all changed when IVPN implemented WireGuard in 2018 as a beta option in its macOS app. IVPN warns that the protocol is still under development, and you shouldn’t use WireGuard “except for testing or in situations where security is not critical.” Nonetheless, the protocol is available and it’s easy to use, so we gave it a try to see how it works, and what IVPN can offer. IVPN offers a very basic user interface that’s easy to understand and is reminiscent of ExpressVPN. The primary part of the window is taken up by a large Connect/Disconnect button. At the top it shows the name of the current Wi-Fi network you’re on and allows you to set it as trusted (which only matters if you’ve set IVPN to autoconnect to untrusted networks). At the bottom of the screen you’ll find options for single or multi-hop VPN connections, as well as a country location selector. 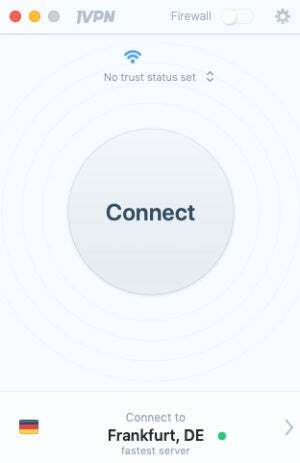 Select the latter option and a list of country connections come up. Beside each country option is a red, yellow, green light to quickly indicate whether a particular connection is good for you. 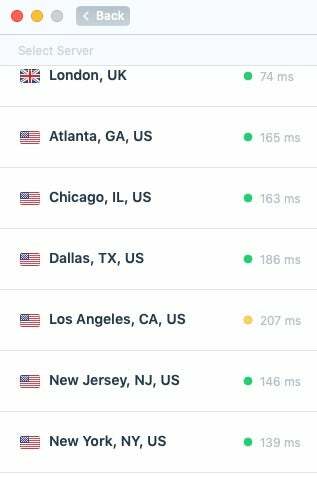 It also lists the ping time to each server to help you find the best option in the country you wish to connect to. IVPN offers 27 countries on 57 servers via OpenVPN, while on WireGuard the number of countries drops down to 7 with 11 servers. If you want to try WireGuard you have to enable it under Settings > Connection > VPN Protocol, which is accessed via the settings cog in the upper right corner of the main window or via the menu bar. One final feature to note with IVPN is its Firewall, which is the company’s approach to an Internet kill switch. 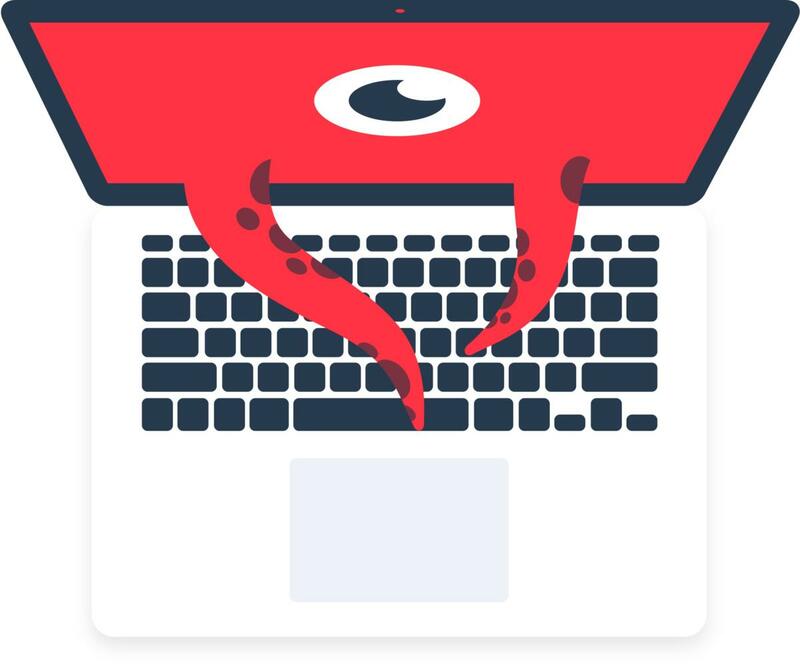 It operates independently of the rest of the IVPN app, and the company says it allows for more effective protection of your actual IP address should your connection to the VPN fail. In our performance tests, IVPN was very fast using either OpenVPN or WireGuard. 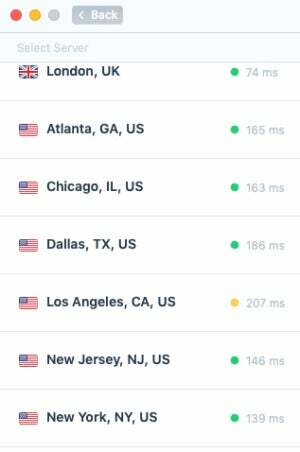 On OpenVPN we saw the best speeds, with about 44 percent of base speed based on performance in five regions (USA, UK, Germany, Australia, and Japan). Perhaps that’s to be expected though, since WireGuard is still in beta. (It got about 36 percent of base speed.) Regardless, using OpenVPN and WireGuard every IVPN location test hit double digits. The country list in IVPN. IVPN costs $100 per year, which is really high for a VPN–unusually so given that the high end is usually $80 with the typical price closer to $60. You can also get a quarterly subscription for $40, and the month-to-month cost is a jaw-dropping $15. That’s a lot when you have the typical five device limit. And there are few extras, such as a guarantee to work with Netflix or ad-blocking. IVPN justifies its higher cost by saying its VPN provides faster servers and better support, while the cheaper competitors usually have too many customers hitting their servers, thus impacting your performance. I don’t necessarily buy that argument as I’ve seen cheaper options with similar service, but IVPN’s speeds are very good. IVPN offers fast servers, an easy-to-use app, and the option to try the WireGuard VPN protocol without dipping into the command line. While you can find cheaper options out there, you definitely get value if speed is your primary concern.